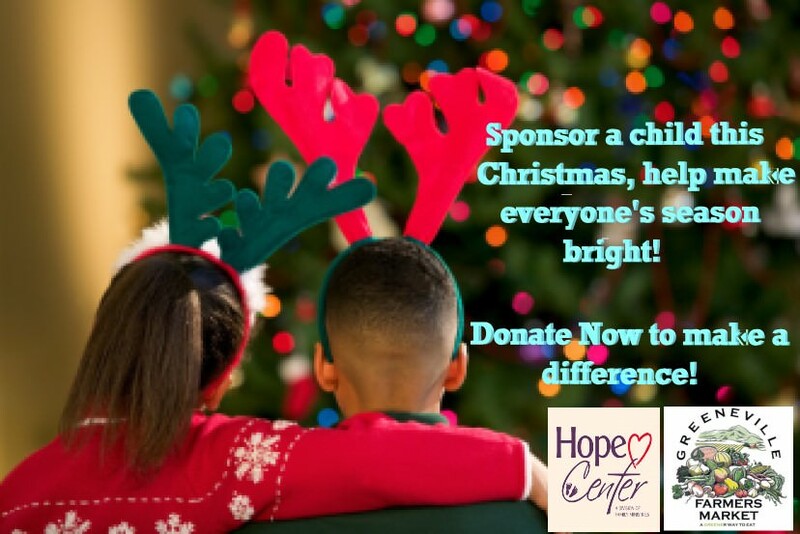 There are approximately 40+ Children registered with the Hope Center needing a little extra love this year. Greeneville Farmers Market has partnered with the Center to make that happen. Please Donate now, so we can get the things these Children need, in time for Christmas Giving.